Daily Feng Shui Tips In 2016, 2017! Daily Feng Shui Tips 2016, gives you a useful fengshui tip everyday. This can help you attain happiness and prosperity in your life. This can be used on a daily basis and helps your mind think freely. Hanging crystals can improve the health of family members. Feng means Air and Shui means Water. 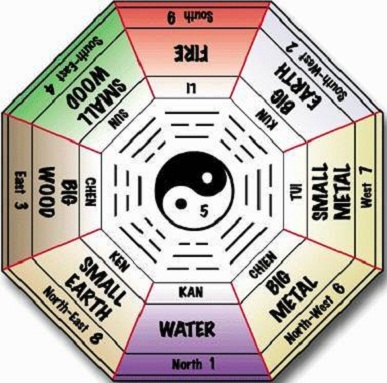 Feng Shui (pronounced fung shway) is an ancient Chinese practice of capuring the natural forces to bring happiness, good luck, prosperity, abundance, and wealth in life. This is an ancient Chinese art of positioning that ensures peace and happiness. In other words, Qi or energy is carried by the Air and conserved in the Water. Qi or Chi is a kind of spiritual force that comes from nature and is responsible for the wellbeing and happiness of all individuals. These force of nature can be made to have a positive effect on our lives. The aim of FengShui is to position the landscaping and buildings so that they facilitate unobstructed flow of Qi. Feng Shui 2016, - the Chinese art of interior decoration examines the how the placement of things and objects affects the energy flow within our house. It also refers to how these objects interact and influence our personal energy flow. Feng shui tips if used the right way can increase the positive energy or chi in your lives thus improving the quality of living.